Downloading the Kindergarten Theme | Click here if your download does not start automatically. Live Demo Download (353) Free vs Paid? Don’t let its name fool you. Kindergarten WordPress Theme is a fun, colorful, and playful theme that’s perfect for any website for young children! It’s suitable for any preschool, kindergarten, elementary, and primary school, as well as any daycare, nursery, after-school program, Vacation Bible School (VBS), children’s blog and the sky’s the limit! This WordPress theme comes with a built-in slideshow, drop-down menus, secondary menu, custom widgets, contact form, sitemap generator, etc. Did we mention it’s mobile friendly and SEO friendly? Don’t wait! 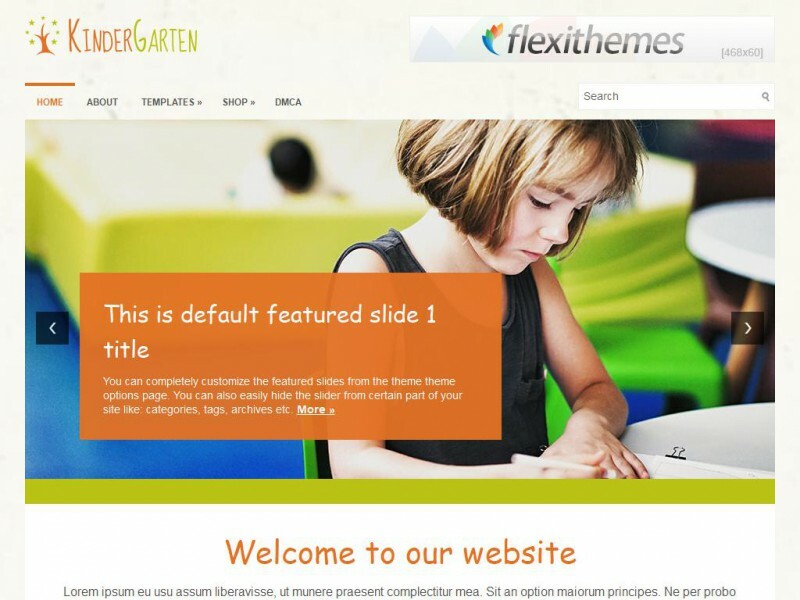 Get started today with our Kindergarten WordPress Theme. You’ll be up and running in no time!